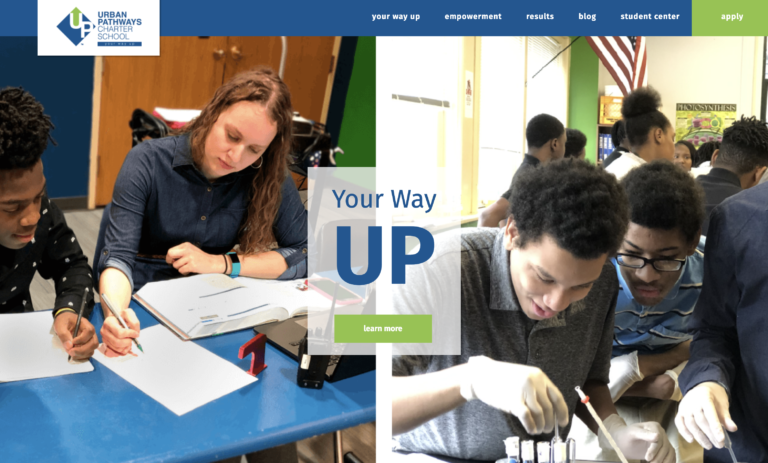 Our website has been redesigned to become your all-in-one resource so you can stay up-to-date with the latest and greatest from Urban Pathways! We’ve highlighted some important pages for both students and parents that’ll help maximize your time on our website. To make it easier for our students to get to the information they need on a daily basis, we created our Student Center that can be accessed directly from the homepage. The Results page highlights our students’ accomplishments and the opportunities we’ve created through Career Fairs, College Visits, and Job Shadowing, to name a few, that our students can take advantage of to prepare for life after graduation. Parents can also access our Handbook that includes important information regarding school policies, student activities, classroom schedules, and the Code of Student Conduct. Last, but certainly not least, by creating a Parent account through our Grades portal , you’ll have direct access to your student’s academic progress. These are just some of the features that we’ve included on our redesigned website! There’s more to explore and we encourage you to see the updates for yourself.